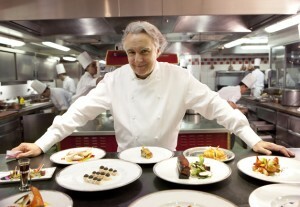 Alain Ducasse runs an empire of 20 Michelin level restaurants around the world. He’s undoubtedly a great chef. But I’m sure there are many chefs of his caliber who do not have 20 restaurants with collectively 19 Michelin stars. Why? Perhaps the reason can be found in how he defines his role in the organization he’s built, that of “Artistic Director” (from HBR, May 2014, p.136). I’m the creative one, who conceives the restaurants, books, cooking schools, events–all the products and services offered. I look at where we are and where we’re going. I work in tandem with my general director, Laurent Planter, who handles the finance-management-business problems, which are of no interest to me. We’ve worked side by side for 15 years, but he does not meddle in my affairs, nor do I meddle in his. I see this sort of thing time and time and again. Really successful businesses require at the very least someone whose primary role is to design the business and be constantly looking at where it is in relation to where it’s going. This person is typically called a CEO but maybe a better description should be CAO – Chief Artistic Officer. Who is conceiving what you firm will look like in 5, 10, 20 years? Who is thinking about the value propositions for all key stakeholders – clients, team members, alliance partners, the community and shareholders? Who is thinking about the activities that need to be taking place to deliver these value propositions in a way that results in an industry-leading profit margin? Who is thinking about the way your firm is marketing its value proposition. Should Governments step in to assist businesses in trouble? Ever thought of playing a game with your clients? Do accountants really understand what offering a business advisory service means? Are you doing all you can to help your clients prepare for retirement?